The action comes six days after the agency questioned the Rashtriya Janata Dal chief's wife Rabri Devi in Patna. 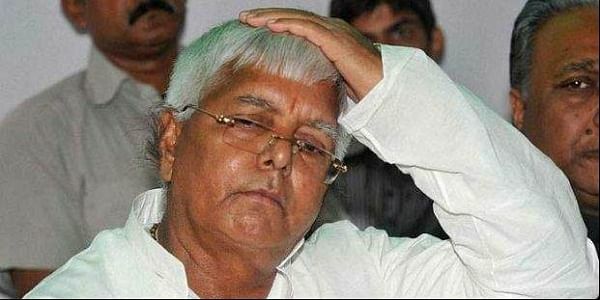 NEW DELHI/PATNA: The Enforcement Directorate on Friday attached a three-acre plot in Patna belonging to RJD supremo Lalu Prasad and his family in connection with a money laundering probe into the 2006 IRCTC hotel maintenance contract case, officials said. The action comes six days after the agency questioned the Rashtriya Janata Dal(RJD) chief's wife Rabri Devi in Patna. An ED official, requesting anonymity told IANS, "The agency has attached the three-acre plot in Patna on which a mall was being built." Earlier, the financial probe agency had questioned Lalu's son and former Deputy Bihar Chief Minister Tejashwi Yadav twice in the case in the national capital. He was questioned by the ED November 13 and October 10. The ED is probing financial irregularities in the case under the Prevention of Money Laundering Act (PMLA) against Lalu, Tejashwi and other family members. On July 27, the Enforcement Directorate had registered a case under the PMLA following an FIR by the Central Bureau of Investigation (CBI) and is probing the trail of funds allegedly transferred through shell companies. The CBI registered a corruption case on July 5 against Lalu Prasad, Rabri Devi and Tejashwi Yadav for alleged irregularities in the allotment of contracts for two Indian Railway Catering and Tourism Corporation (IRCTC) hotels in Ranchi and Puri in 2006 to a private firm when the RJD chief was the Railway Minister. Apart from Ahluwalia Contractors' promoter Bikramjeet Singh Ahluwalia, who has also been questioned in the case, former Union Minister Prem Chand Gupta's wife Sarla Gupta and then IRCTC Managing Director P.K. Goel are also accused in the case.